I really hate any kind of food waste, so finding ways of using up any leftovers is important to me. I also love getting the kids involved in cooking as much as I can and this recipe is one they can really get stuck into and help with. 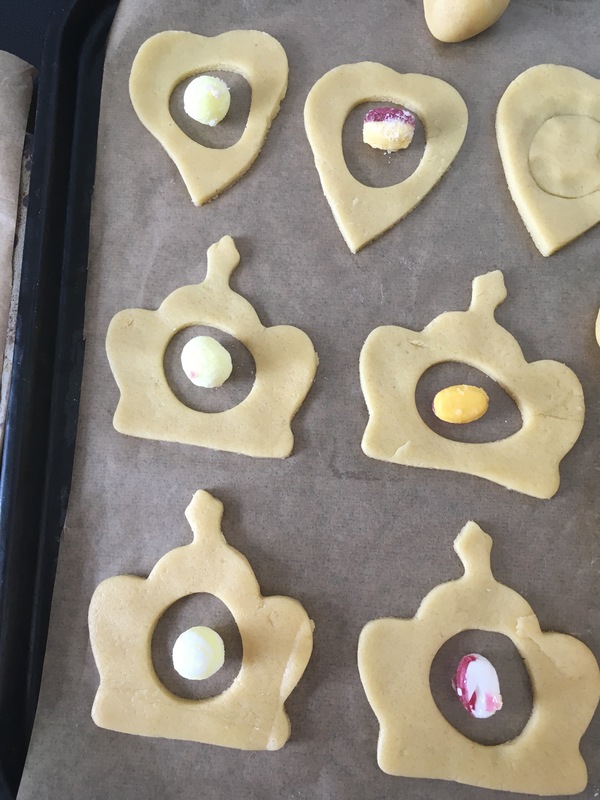 We’d never made Stained Glass Biscuits before, so this one was a bit of trial and error, but we had a bag of leftover boiled sweets that nobody really wanted to eat, so decided to give them a try and use them up. I’m quite impressed with how they worked out so I think it’s definitely something we’ll try again. You will also need a couple of flat baking sheets/trays, baking paper, a rolling pin and biscuit cutters. Preheat oven to 140 degrees C (fan oven), 160 degrees C (standard oven) or gas mark 3. Line your baking sheets/trays with baking paper. Mix the butter, sugar and flour together in a bowl and then knead into dough. Sprinkle some flour onto a flat surface then using the rolling pin, roll out your dough until it’s around 0.5cm thick. Use a larger biscuit cutter to cut out the main biscuit shape. Then use a smaller biscuit cutter to cut out a hole in the centre of your biscuits. 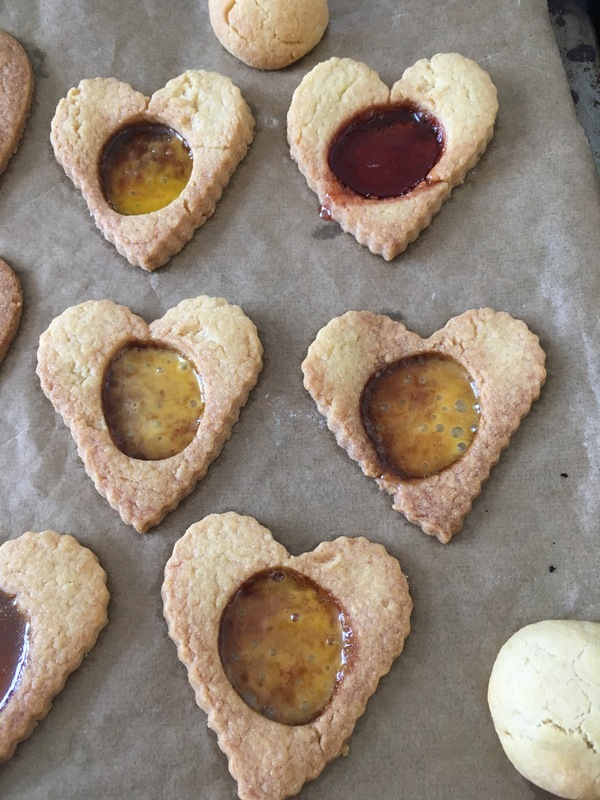 Use a spatula/fish slice to transfer each biscuit to your baking sheets/trays. Pop a boiled sweet in the hole in each biscuit. 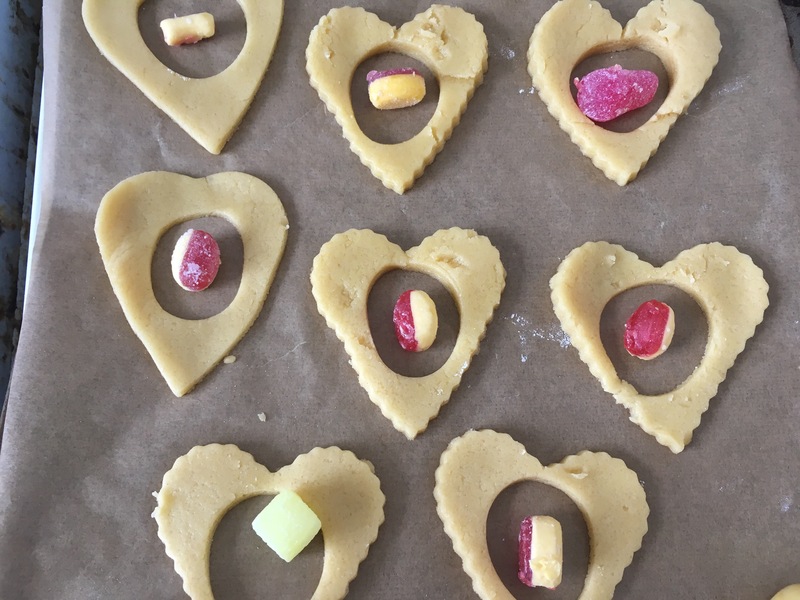 Bake for around 15 minutes, until biscuits have browned slightly and sweets have melted. Leave to cool. 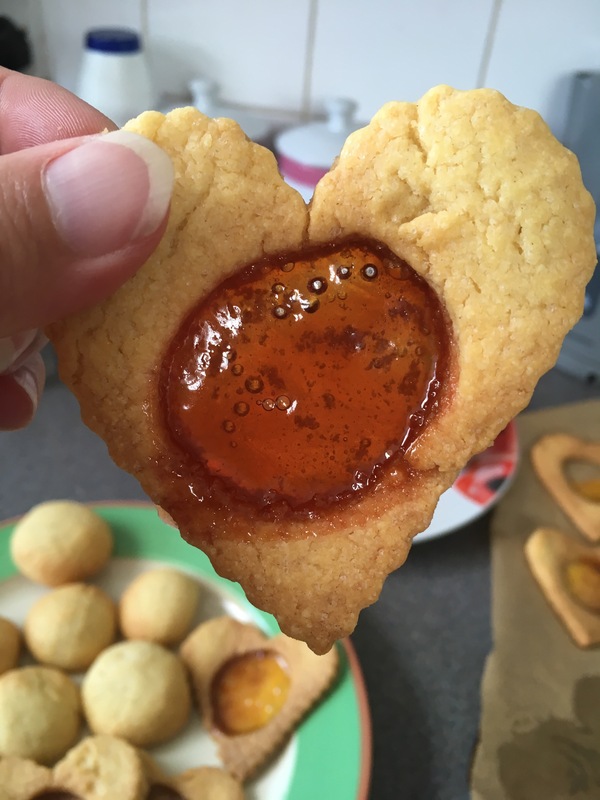 The melted sweet centres will harden as the biscuits cool, leaving you with a glassy look, crunchy centre to your biscuits.